If you read my blog much, you know that I love decorating for the holidays, but I hate spending money. One of the biggest expenses for decor is always the tall stuff. This year I cheated! 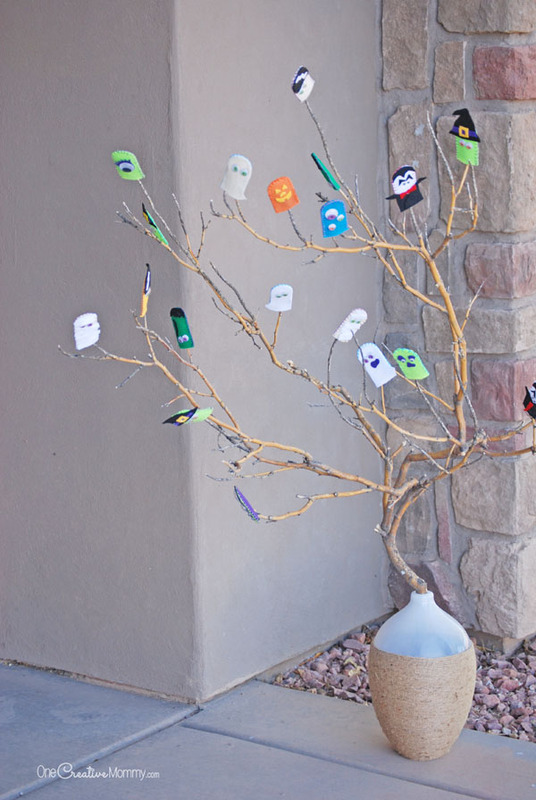 I grabbed a tree branch from my neighbor’s garbage pile, pulled out one of my favorite Halloween crafts from last year, and created this fun Halloween tree! What do you think? 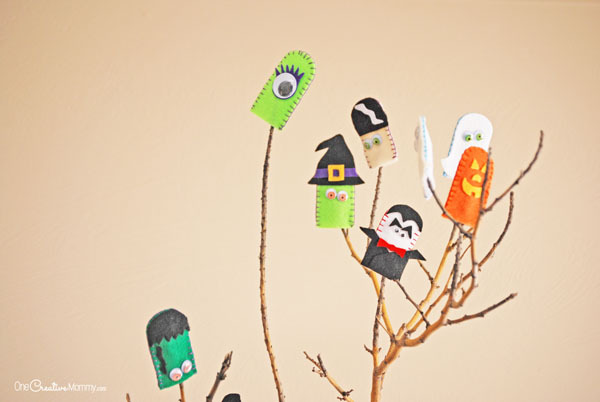 My kids made these cool felt Halloween finger puppets last year, but we wanted a way to put them on display. We solved two problems at once. We got tall Halloween decor, and we got to display our puppets! 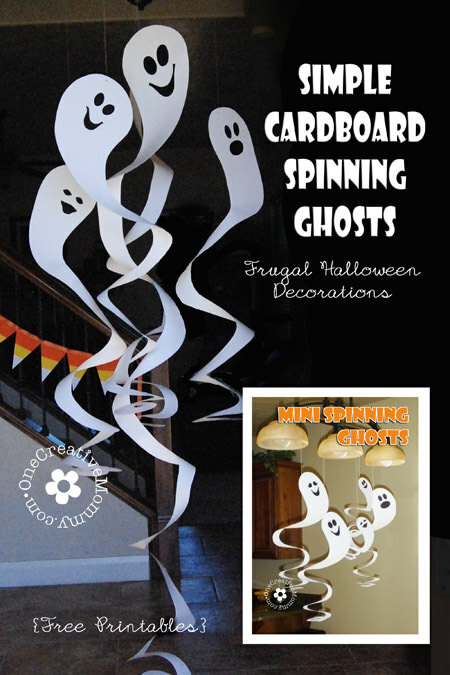 All of those creepy little Halloween characters add a bit of whimsy to our Halloween decor. Now it’s time to find the decoration boxes and get the rest of the Halloween decorations out! It’s the last day of September. Time to decorate!!! Bring on Halloween! No time to make finger puppets? 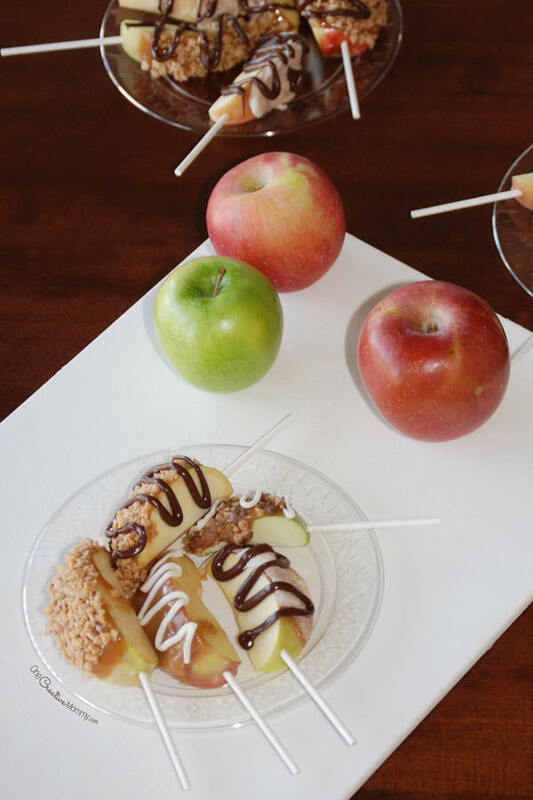 You can make this with any Halloween goodies you have laying around. 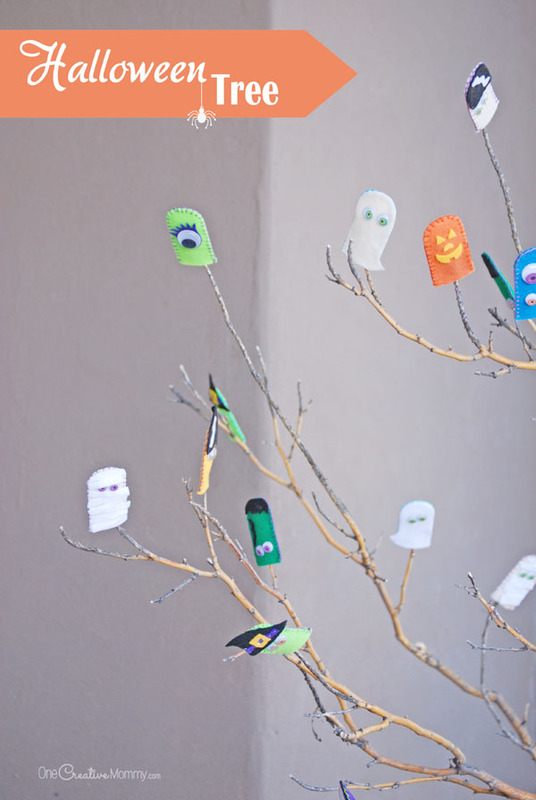 Try tiny dollar store pumpkins, rubber bats, or even just stringing cobwebs in the branches. Have fun! Need more ideas? Click on the images below to visit the posts. Such a cute idea! I think this would be fun to do with my kids. Thanks, Jacqui. It was a great way to find a way to use a craft project to decorate the house. What an adorable Halloween tree. I made one too last year, a little different from yours but I do plan to get it out and redo it to be more scary!!! A scary Halloween tree would be really cool. My Halloween decor is mostly cute–no scary. This is super cute! I love the tree idea! I will have to show this to my sister inlaw. My niece and nephew would love it! Thanks, Leah. I love decorating for Halloween. 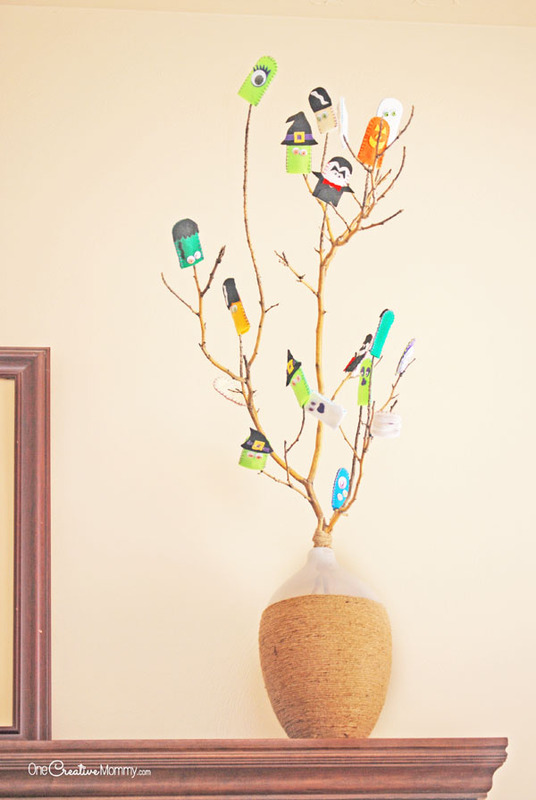 This is such a cute and creative idea! My boys would love making these with me this year. Thanks, Jenn. It was a fun project, and a fun way to resurrect last year’s craft. That is a super cute idea. One of my sons loved finger puppets when he was young. Thanks, Val. 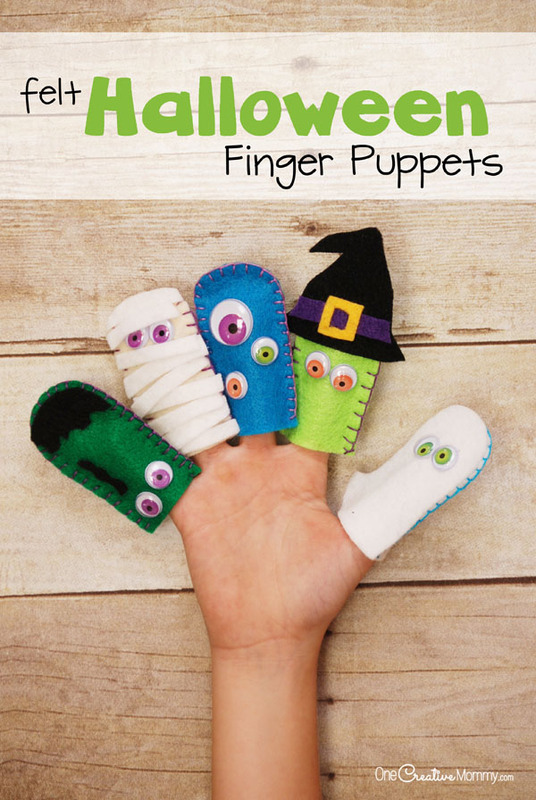 Finger puppets are really fun project to do with the kids. How adorable! I never thought about making a Halloween tree but I love it! I like to look at Halloween decorations but never put many up since they look a little cheesy. This looks so natural, yet still perfectly festive. Love it! These are so adorable! I love the tree one with all the little ghosts it reminds me of the Monsters movie. I love Halloween!